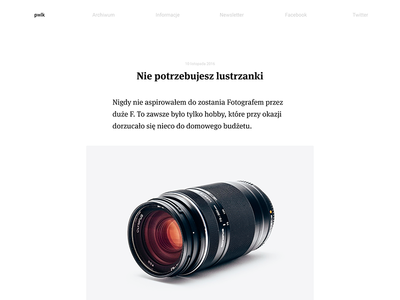 30 years old, UI / Web designer from Poland. Addicted to coffee, design junkie who loves to create beautiful websites and great looking interfaces. 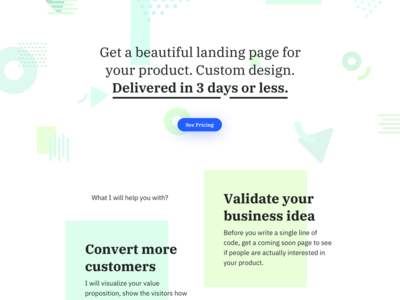 Tookapic 5.0 Landing Page — We've launched a brand new Tookapic few days ago. 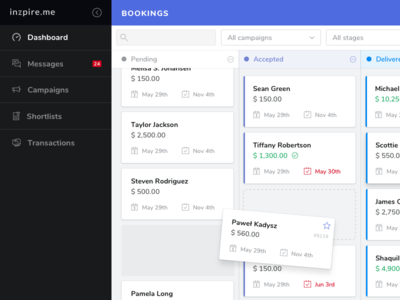 Rebuilt and redesigned from scratch, with a pricing update (now $36/y). 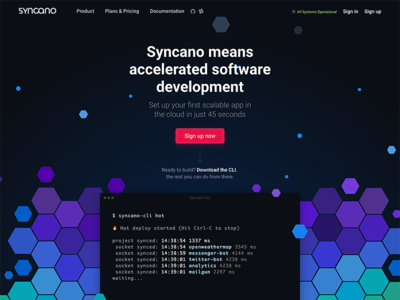 With this huge update we've also released a completely new landing page. See it live here. 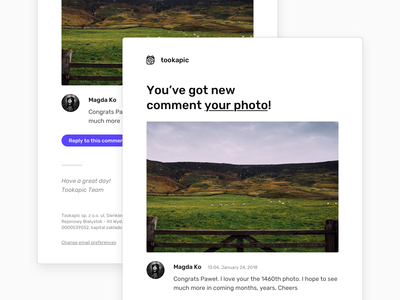 New Comment Notification — Email notification with new comment on a photo. 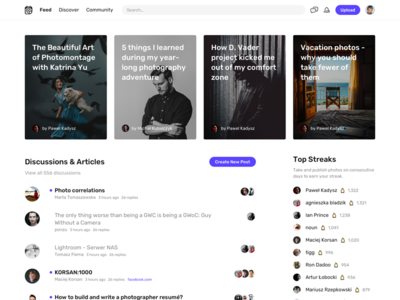 Profile page — Redesigning and rewriting the app from scratch. 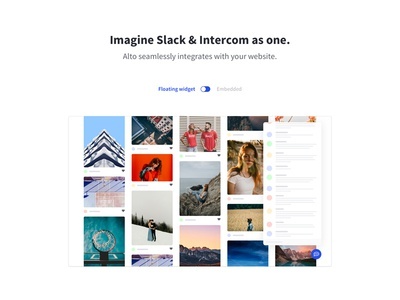 Slack + Intercom = Alto — I'm building a tiny little product. 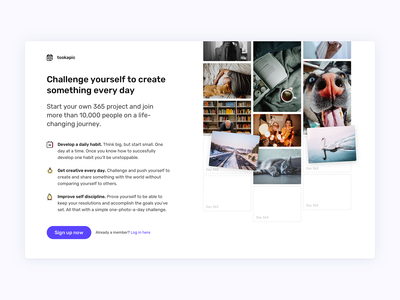 A small embeddable live chat for community websites like Dribbble. It doesn't require users to set up any new accounts (like when you're asked to join a community on Slack or Telegram). Stay tuned. 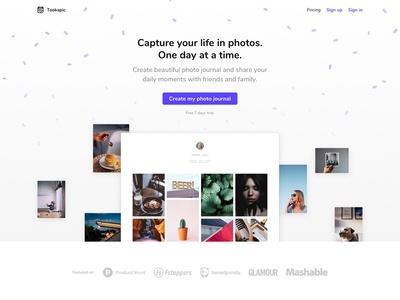 Landing Page, march 2018 — The previous version didn't do very well in terms of conversion. This is much more value focused. Live version might differ from what you see here, because we're running some A/B tests. 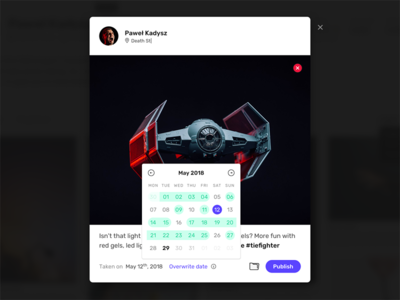 Product Page Design — Few months ago I took down my portfolio page, because it was so outdated. Now I'm working on something new. Stay tuned! Kanban View — I'm working on a complete redesign of Inzpire.me dashboards. The kanban board view is ready, I guess. 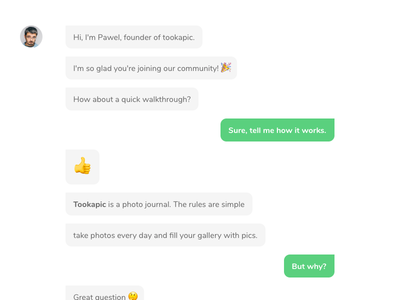 Conversational Onboarding — We're testing conversational onboarding on Tookapic. Once user signs up, we address all the most frequently asked questions and explain site's value and rules within about 90 seconds. If you're tookapic user you can test it yourself here. If you're not a member yet - you should sign up. We're still struggling to get it to work on mobile Safari. 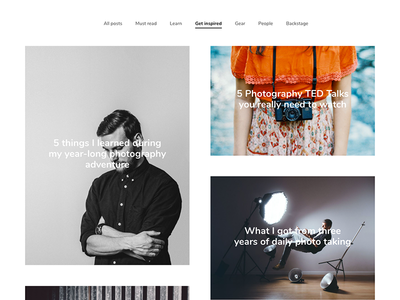 New blog layout — We also revamped the main blog page. I strongly recommend taking a look at the Get Inspired category. 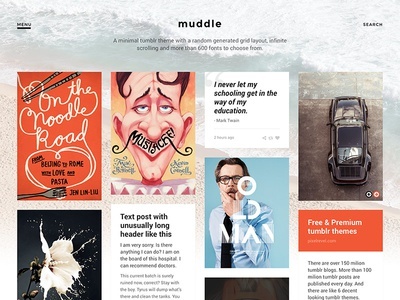 Blog post — Blogging WordPress theme I'm working on. Uploading GIF — We made the upload work today. Looks and works much better than the current version. Coming soon! 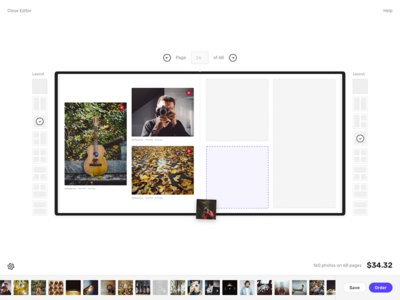 Photobook Editor — Redesigned photobook editor for Tookapic. Clarity and simplicity was the goal. Current one is a mess in comparison to this. 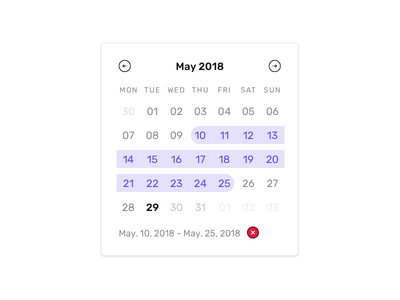 Date Range — Date range component for Tookapic. 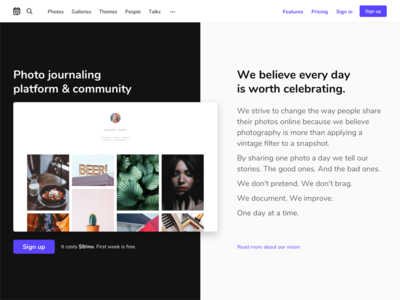 In the new version people will be able to select photos taken during a selected period. 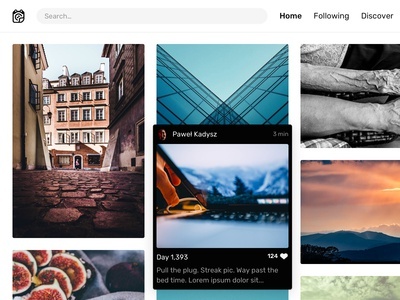 One of the most requested feature - especially among power users with 500+ photos. 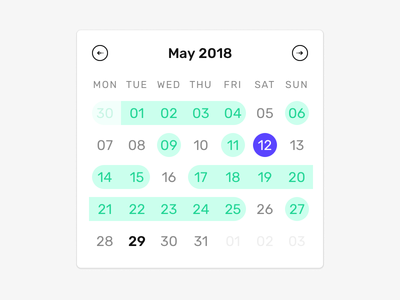 Date Picker — New date picker for Tookapic. used to select day user wants to assign a photo to. It also shows user's streak (green background means user already has a photo assigned to that day). 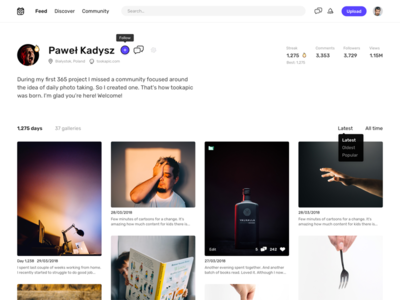 Community Page — New community page for tookapic.com. Work in progress. Still a lot to improve. 2018 Landing page — New 2018 landing page with a short video is up and running. Check it out.